Endeavor Schools, a Miami-based leader in education management, is growing its presence in the Southeast with the addition of Cranium Academy of East Orlando. Located near the dynamic Lake Nona community, one of Orlando’s fastest growing areas, Cranium Academy of East Orlando offers a unique private school experience. 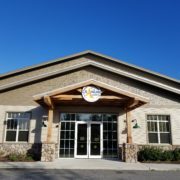 The school’s sister location, Cranium Academy of Winter Garden, has been serving southwest Orlando for more than ten years, and has been part of the Endeavor family since 2014. Both Cranium Academy locations offer renowned preschool and private elementary school programs, as well as after school and summer camp programs for children from preschool to elementary age. Cranium Academy offers a revolutionary approach with state-of-the art, technology-based learning skillfully balanced with hands-on exploration in reading, writing, mathematics, science, social studies, foreign languages, art and music. The school’s dynamic curriculum is designed to ignite a love for learning within each child, combining advanced academics with imaginative social and play experiences. With over 10,000 spacious square feet, Cranium Academy of East Orlando mirrors its sister location in Winter Garden with a unique “clubhouse” feel, featuring exciting décor and a captivating environment designed to welcome family and staff into a warm atmosphere every day. Located less than a 30-minute drive from Orlando’s main attractions, Cranium Academy of East Orlando lies near the beautiful and growing community of Lake Nona. The diverse East Orlando community has quickly become a global destination for advanced research, health care, and education. For more information about Cranium Academy of East Orlando, please call (407) 255-2171 or visit www.craniumacademy.com. Founded in 2012, Endeavor Schools is headquartered in Miami, Florida. For more information, follow the company on LinkedIn.